With its unrivaled range of movement, the Ascend can transfer a resident from a low-seated position to fully extended with ease. Its active lifting motion has been designed to encourage user participation, which ultimately promotes resident independence and well-being. 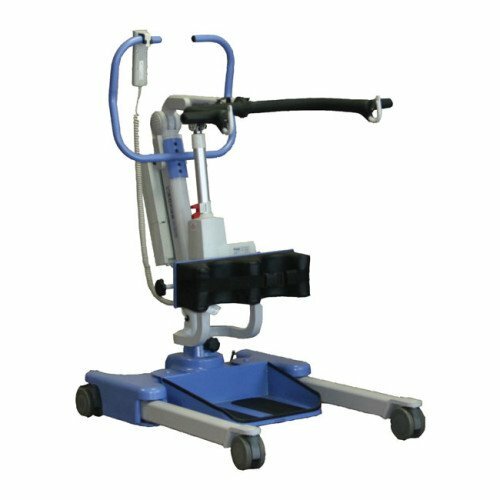 The Ascend is compact and easy to operate in confined spaces such as bathrooms and has many key design features that make it a truly flexible piece of equipment. Supportive Knee Tray. One-hand adjustment raises or lowers knee pad up to 6 inches for proper placement to ensure resident comfort and support. The pad also has a leg strap for those residents needing additional reassurance. 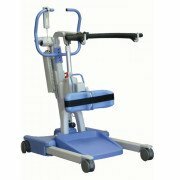 The removable foot tray allows the Ascend to be used as a walking aid - great for residents that need walking rehab or raining.